People interested in the writer Opal Whiteley have long waited for an objective biography. It was hoped that K.K. 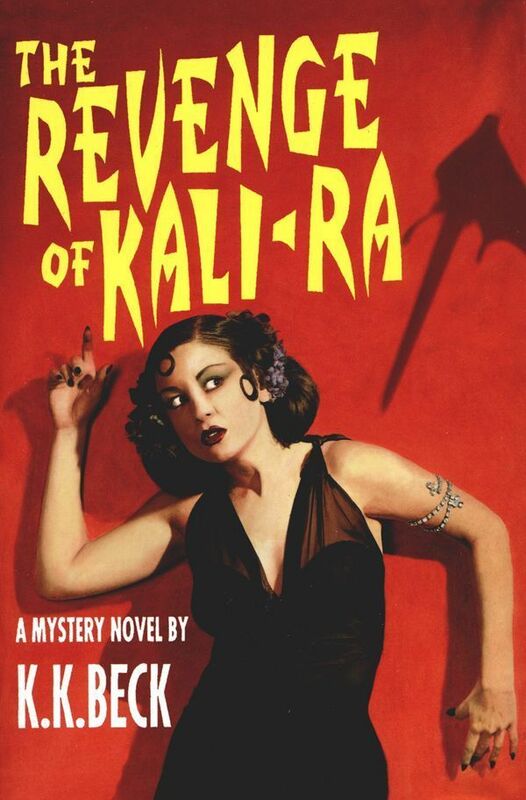 Beck, author of over a dozen pulp fiction mysteries, would be able to be a literary detective sorting out fact from fiction. However, Beck approaches her story more like a prosecuting attorney than a serious researcher. At times, it seems like she is more out to convict, rather than explain the mysterious Opal Whiteley. She becomes like a guilty baddie in one of Beck's novels. What we read is page after page of much the same thing; Opal was an ambitious, lying, crazy child who hated housework - and she died an ambitious, lying, crazy old woman who hated housework. Case closed. Beck seems to dismiss or ignore almost any information favorable to Opal while magnifying all of her flaws. I actually agree with Katherine Beck on some of the controversies surrounding Opal's life and diary, like whether her family was ignorant and abusive (they were not). However, this book is the most negative image of "Princess" Opal Whiteley yet. Even her old arch-nemesis, newspaperman Elbert Bede, must be feeling a little sympathy for her right now. The late Ivan Hoyer, a well-respected area historian said that Beck "even took away the young and brilliant Opal that we knew before she left Cottage Grove". That is our loss, because this could have been a really good book by a woman who is a fine mystery writer. Even with its flaws, there is a lot of new information here. Beck gives the most in-depth account yet of Opal's years in Boston, Washington DC and India. Beck is at her best when describing the cloud of people great and small who moved in and out of Opal's life. There are some sensationalized accounts of several of Opal's love affairs. The author did a lot of legwork and traveled to England to research information in the University of London archives. Some of Beck's new charges against Opal are so sensational that they should require solid evidence before being fully accepted. There is no index, no table of contents and Beck almost never cites complete references or dates, which makes it difficult to check her facts. It is hard to feel confident of Beck's accuracy and documentation. Beck gets some well-known facts completely wrong. For example, she says on page thirteen that Opal's first school was in the logging town of Wendling. Beck writes about Opal's rapid progress in the school and her teacher, Mrs. Daugherty. It is a good story about her early school years - except it happened in Walden, not Wendling, which is over thirty miles away and a year later in Opal's life. Also, the Cottage Grove Chamber of Commerce will be interested to learn that "yurt building" is now our "town's biggest industry." (p.10) After spotting these items in the first few pages, I braced myself for what else was to come. WHEN DID OPAL BEGIN KEEPING A DIARY? One of Katherine Beck's main contentions is that Opal did not start writing a diary until she was about twelve years or thirteen years old. She says that "nobody ever saw a diary" written on scraps of paper and printed with crayons, that every person only saw a diary on lined notebook paper and written in cursive (p.260). This is not quite accurate. Opal Whiteley's biggest critic, Cottage Grove Sentinel newspaperman Elbert Bede, said in an October 12, 1933 Sentinel article that he has learned of two people, a man and a woman, who had seen this diary. He writes that it is "beyond being disputed" and that he has "the most implicit confidence" in the people who say they saw Opal's childhood diary. He also published these articles in the Portland Oregonian. Beck writes about these 1933 articles on pages 224-225, but does not mention what he says about her childhood diary. In 1993 Elbert Bede wrote: "I have at last reached a person who actually saw Opal's child diary, for the first time definitely establishing the fact that Opal had one that was produced at the time in her life that she claimed was written the one that she presented to the Atlantic Monthly. "Heretofore, every lead to one who had seen it resulted in the information that Opal had spoken of such a diary or that she had read to someone out of what she said was her diary. Also, every lead was to a diary written, not printed. "But now I have found one who saw a portion of a printed diary. Also, it was on pieces of wrapping paper and other scraps. Also, it had been torn into bits and was kept in a cardboard box, the nucleus possibly for the diary years later rushed from Los Angeles to Boston." Years later Bede changed his story somewhat. He wrote that only the woman had examined the papers carefully and does not mention the man. Beck contradicts herself on several important points. Early in the book, she speaks highly of the Whiteley family saying that Opal's later statements about child abuse could not be true. Beck believes that Opal lied about being the natural child of both Ed and Lizzie Whiteley. Yet, later in the book, she writes about Lizzie telling Opal and another of her children that she was not really their mother. Mrs. Whiteley also told this to neighbors and the head of a church group, Christian Endeavor, Evert Baker. He was a respected Portland lawyer and minister. Beck also writes that her mother did not spank Opal as she described in her diary. However, Beck ignores the evidence from all of Opal's other diary writings, published and unpublished. Her first book, The Fairyland Around Us has favorable portraits of all her family members - except her mother. Clearly, Opal and her mother were often at odds with each other. Plus, We learn very little new about "the momma", Elizabeth Whiteley in Beck's new book, mostly just rehashes from earlier books about Opal by Ebert Bede and Benjamin Hoff. There were several reasons for Opal's fall-out with her family. One reason was that Opal's family wanted her to take care of her younger siblings after their mother died in 1917. Like many young women in the same situation, she made the choice to pursue her own career and left Oregon rather than raise her siblings. On page 150 Beck writes that Opal "bailed out" of her responsibility as the eldest female child. Opal critic Elbert Bede, in his private papers says he has "often wondered" if Opal was the child of someone else in the family. Most children at some point growing up wonder if they are adopted. To have your mother tell you that you were would override all other facts or other people's statements to you. Opal got her beliefs that she was not really a Whiteley directly from her mother, who also had emotional and physical health problems. Certainly she is one of the most misunderstood, tragic mothers in literature. At a recent book signing event in Cottage Grove Oregon Beck said that one of her sources made her leave the question of Opal's parentage and diary authorship open or else they would not submit to an interview. This seems like a strange bargain for a detective writer who is trying to solve one of the biggest literary mysteries of the twentieth century. Beck's image of Opal could hardly be more one-sided. Beck is ultimately unable to solve the mystery of when or how Opal wrote her diary. She hints that it was in Los Angeles in 1918 when she was twenty or later in Boston when working for the Atlantic Monthly. However, she never comes out and says definitely. Beck tantalizes us, repeatedly looking at how Opal spent her spare time and asking, "what book was she working on." Beck seems to believe that Opal and Ellery Sedgwick, publisher of the Atlantic Monthly perpetrated a hoax, she is unable actually to solve the mystery of how they did it. She writes on page 260, "the truth about the diary remains elusive." Beck also repeats the worn old claims that Opal, while in Los Angeles in 1918, had a French dictionary she used to get words to put into her childhood diary. It has been long alleged that Opal wrote a large part of her diary in Los Angeles at the same time she wrote her first book, The Fairyland Around Us. Beck ignores the most obvious reasons for Opal to need a French dictionary: French was the language of science and of the more educated class in her time. Opal was also looking up many words and references for her first book The Fairyland Around Us. French nature books and storytellers are even mentioned in the introduction (of Fairyland), but the writer (Charles Loomis) says that Opal's book is better. Also, Opal taught many children from Europe who were living in Hollywood after World War One. In a diary entry dated March 16 and published in The Fairyland Around Us, she writes about two children, Phillip from France and Marie from Spain. In a letter to her friend Nellie Hemenway, Opal lists twenty-five children she is teaching who are from all over Europe. Beck quotes from many letters between Opal and Nellie Hemenway, but does not mention this letter where Opal writes about her little "international family." Many people came to Los Angeles with their parents to escape World War I and the civil unrest sweeping Europe in the wake of the communist revolution in Russia. Opal was using French, Spanish and Latin books because she had students from around the world and needed to communicate with them in order to teach. Beck speculates Opal wrote it in Los Angeles because the niece of a woman Opal stayed with (and had numerous run-ins with) said she saw childish printing on regular white pieces of typing paper. Many of these papers were thrown away after Opal moved. Beck implies that this is proof - but that is not the case at all. A better explanation is that Opal taught many small children at the time and these were most likely pages written on by her young students. She had twenty-five international young children from around the world. What teacher does not have stacks of lessons and notes from her students? Every version of Opal's story mentions what a pack rat she was, how she kept everything from letters, notes, even old travel tickets. It makes sense these were her student's writings that she kept. However, Beck barely mentions that Opal is teaching young students and does not say anything about that they were from. A good example of Opal's need for international dictionaries can be seen in this passage from The Fairyland Around Us. Here, in one paragraph she gives the Italian, Spanish and Russian names for wild lettuce. "Other names had they - Chicory and Succory. Cousins of Dandelion, Wild Lettuce and Rattlesnake weed are the Chicory fairies. By Italian children they are called Cicorea. By Spanish children they are called Achicoria. By Russian children they are called Tsikorei." Among the most disturbing of the charges Beck levels against the Opal is that she was anti-Semitic. Beck credits her infatuation with the French royal monarchy as the source for her anti-Semitism. Beck quotes one letter Opal wrote in 1933 that blames the Jews for World War I, an allegation that automobile giant Henry Ford popularized. Beck does not mention that in the 1930's Hitler was voted the "most admired man" on a number of US college campuses. There is nothing in Opal's early writings before her severe mental illness, to suggest anti-Semitism but she was a person of her times, and those times were often violently anti-Semitic. Katherine Beck makes light of the fact that Opal wanted to help the British with her knowledge of codes against the Germans during World War II but her mind was already too far-gone. In the 1960's Opal began to call the Whiteley's "Nazi's". After decades in the mental hospital Opal was to believe that UFOs, Jews and Protestants were in league against the Catholic Church. Beck brings up this anti-Semitic accusation several times. 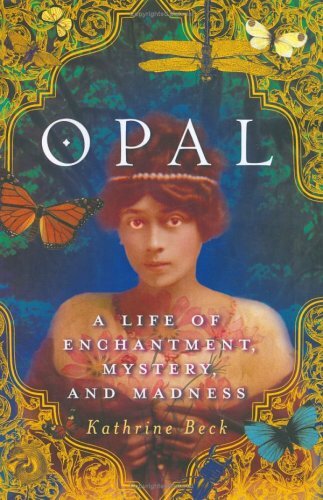 Katherine Beck writes that Opal was a friend of Mrs. Jessie Lasky, wife of the famous Hollywood producer (p. 43). Opal taught nature studies to their children. She does not tell us that the Laskys were also Jewish. This is another example where Katherine does not tell us information that is favorable to Opal. Beck covers Opal's time in India during the 1920's in one of the book's better chapters. We get many quotes from a "secret file" of a racist British administrator. He wrote that Opal was conducting herself in ways looked bad for a "white woman". This man writes several times about the scandal she is causing among all of the other "white women". This same man notes Opal's dark skin and speculates she might have Indian blood. These chapters are also among the most entertaining and informative of the book. Beck, the mystery writer takes over and she weaves an excellent description of Opal's barnstorming visit to India. We read about a possible love affair and secret marriage to a Hindu swami (holy man) and con artist, but Beck writes very little of Opal's book about her travels in India. She is known to have taken hundreds of photographs, going into places no European woman had been before - but Beck hardly mentions these. The Hindu swami, whom Opal may have had a love affair with attempted suicide when Opal broke up with him. In her later years in England, Beck writes that Opal wandered the streets of WWII London calling out his name. However, Opal's supposed birthplace, Colton Washington, where Opal's family said she was born in 1897, is hardly mentioned. There are a few paragraphs about the town being 80% Catholic and with a large number of French people, but she writes nothing about Colton having a large school and orphanage run by nuns from Europe. The school and convent was called St. Scolastica's and they had a school for small children called "Guardian Angel". Perhaps Beck does not write about this school (which I told her about) because it would have brought up the question if Opal could have been adopted from Europe. The Whiteley's lived less than a mile from this convent and had to pass right by their school going and coming to town. Opal saw statues of angels along their way. Opal is Beck's first non-fiction book. K.K. Beck is the author of sixteen pulp mysteries. None are listed on the book's jacket. Among Beck's previous books were Peril Under the Palms, The Body in the Volvo, The Body in the Corn Flakes and The Revenge of Kali Ra. In an interview with the Eugene Register Guard 10-26-03, she describes herself as a "corporate writer" She has picked an enormously complicated life story to try to unravel and perhaps bitten off more than she can chew. We learn a blizzard of new facts and adventures of Opal's but do not get much closer to solving her mystery. Beck seems like she does not like Opal Whiteley or has not read her writings closely. She often writes in a mocking, sarcastic tone. While detailing Opal's nervous breakdowns and delusions, Beck seldom shows any understanding of the pain and loss these breakdowns caused both Opal and her family. We learn little about the causes of her illness or even a definition of "schizophrenia." When describing attempts to raise money to get Opal into a better hospital Beck writes "presumably to live among a better class of lunatic" (p. 233). Katherine Beck writes briefly about the statue of Opal Whiteley now in the Cottage Grove Library. She credits "pro-Opal forces" with getting the statue accepted, over the objections of some people in Cottage Grove. However, I don't recall that at all! Katherine does not mention that South Lane Mental Health donated the statue in memory of how mental illness can steal the people's lives. This is an example of Beck's sensationalism and sense of the dramatic, which is much like Opal's own. I founded the Opal Whiteley Memorial in 1993. As an outreach counselor for South Lane Mental Health, my goal was to educate people about the devastating effects of mental illness on individuals and families. Because I later worked for the University of Oregon collecting research on Opal Whiteley, Katherine Beck calls me "the world's first paid professional Opalite." That is a title that I take with the good humor she bestows it. Beck calls Opal's fans and researchers "Opalites." If you are reading this review, you are probably an "Opalite" too. I really enjoyed meeting Katherine Beck. She is a smart, vivacious woman who is hard not to like. She interviewed me twice and we exchanged a few emails. Beck might be surprised at how much I agree with her on some points; that she wrote some of her diary as a very small child, and later heavily edited it for publication. Opal's diary is full of family secrets; about children born out of wedlock, the family making wine when Oregon was dry, gambling, and much other gossip.. Her family was better educated and kinder than Opal pictured them. I doubt that Opal was a French princess, but I do maintain an open and inquiring mind about it. She could be highly ambitious, creative and difficult to live with. The difference between Katherine and me is that I still admire her writings for the beauty they show - and her for the complex mystery she created. On page 262 Beck suggests that the University of Oregon got a $400,000 research grant ( I wish! ) to work on Opal Whiteley. That is a long stretch - actually, there are ten books online in a research project to help school students with learning disabilities. Each of the books has "text supports" such as photographs and explanations of difficult words. Opal is one of ten books done by Project Intersect at the Center for Electronic Studying. INTERSECT is the brainchild of Dr. Lynne Anderson-Inman and Dr. Mark Horney. You can view the INTERSECT website and see all the books, including Opal's here: http://intersect.uoregon.edu/ . Beck says that I gather material for the UofO website. She says nothing about the contents or purpose of the site. My contribution has mainly been creating a "PictureBook" of Opal's online diary. I was asked to locate historic photographs of the real people and the real places that Opal writes about. Rather than reading the diary from start to finish in the usual way, you can look at an interesting historic photograph and then read a short selection from the diary. When Opal is writing about crossing the bridge over the "riviere," there is a picture of the Mosby Creek covered bridge. When she is writing about going to school, there is an actual picture of the Walden (not Wendling) School. There is a lovely picture of a scared young bride -- Elizabeth Whiteley -- in her wedding dress. It gives a more balanced view of Opal's mother and the rest of her family. There is also a wonderful picture of Opal's grandparents, Leonidas Constantine Scott and Atchash Scott, which shows their quiet dignity. You can also see the real Elise and her young husband, Lela Garoutte and Sir Walter Scott (his actual name). Opal really gets her creative names of classics and royalty not from some far away "angel parents" but right from her own family. Seeing these photos and knowing a bit about the people in them makes it hard to completely accept Opal's version of her family's abuse and ignorance. But, one still has to wonder "why" Opal portrayed them that way. This book comes no closer to answering that question. TOMBSTONE OPAL WHITELEY'S LAST CON? Opal Whiteley died in 1992 and was buried in London's Highgate Cemetery. She has a nice grave spot that is near other famous writers and aristocrats. Her tombstone reads, "Francoise Marie de Bourbon-Orleans (Opal Whiteley) Died 17th February 1992 Aged 95 years." The final line is a quote from the Bible "I Spake as a Child". Beck notes that some might call this "Opal Whiteley's last con" and wonders if the royal Bourbon-Orleans family knows about what her tombstone says. Fans of Opal Whiteley who were hoping for a juicy biography will be disappointed. The only real juice here turns out to be from a sour lemon. The book contains many fascinating tidbits about Opal and her life. However, given the number of inaccurate and biased reports, one wishes that Beck had taken more pains to document her story. It would be helpful if she made available lists of the source materials to support her controversial claims. It is disappointing that there is no index, no footnotes and no list of other places for more information. Beck is often guilty of some of the same literary crimes she claims Opal was guilty of: over sensationalism and playing fast and loose with some of the facts from her life's story. Some writers have portrayed Opal as a sort of New Age Princess in love with God, children and the great outdoors. Beck's portrays Opal as lying con artist from an early age who gradually gets what some people thought she deserved - life in a mental hospital for almost fifty years. That should be punishment enough for Opal's literary crimes. The real woman, Opal Whiteley, is much like the Opal gemstone she was named for. Each direction you look at an opal you see a different gemstone. Like the gem, she is translucent and opaque - you cannot look at either the person or the gemstone from just one angle and get a clear image. This book looks at Opal from one viewpoint. Benjamin Hoff's book, the Singing Creek Where the Willows Grow, with his biography and her diary is still a better reading experience.